I first found out about El Nido after seeing photos of it on Instagram. 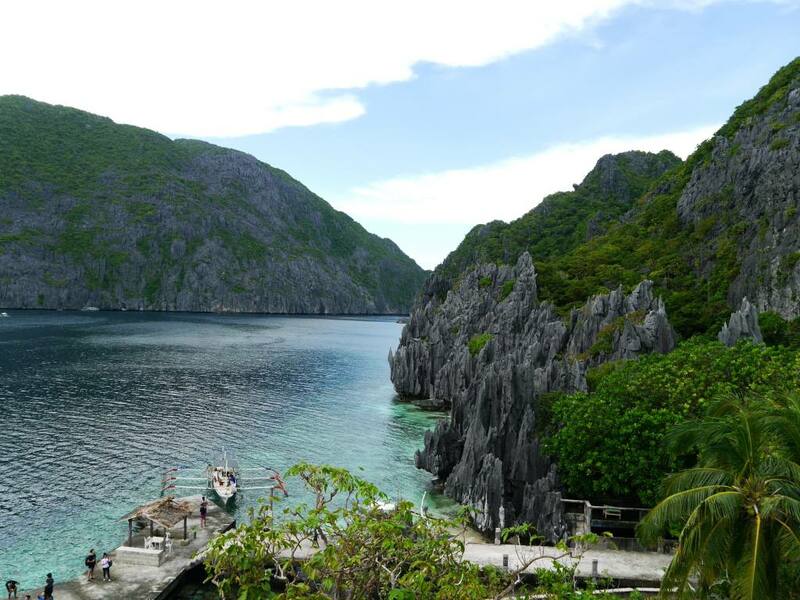 I searched the ‘geo-tag’ and was blown away by the collage of paradise coves, limestone cliffs and emerald green waters. Ever since then, I knew that El Nido had to be part of my Philippine travel itinerary. But when it came to researching online I found very little information about El Nido, so I teamed up with Expedia.com to write the post I wish existed when I was planning my trip. 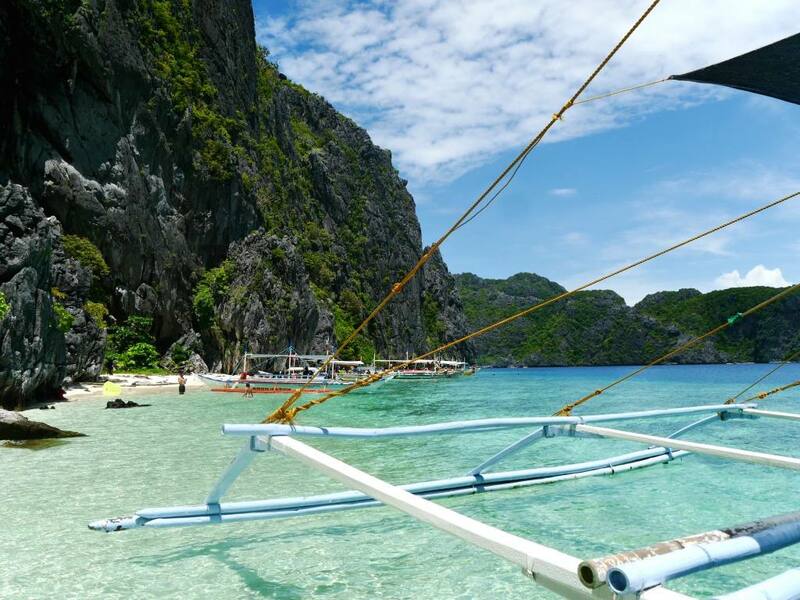 Here are 8 essential things to know before visiting El Nido, on the beautiful island of Palawan. There are two options for getting to El Nido; Puerto Princesa Airport and El Nido Airport. Flights into Puerto Princesa are much cheaper and seem like the obvious choice, but beware this option comes with an additional 5-6 hour van transfer to El Nido upon arrival (600 Pesos return). If you’ve got the extra budget, Air Swift offers daily flights from Manila straight to El Nido Airport (20-minutes from El Nido Town by tricycle). 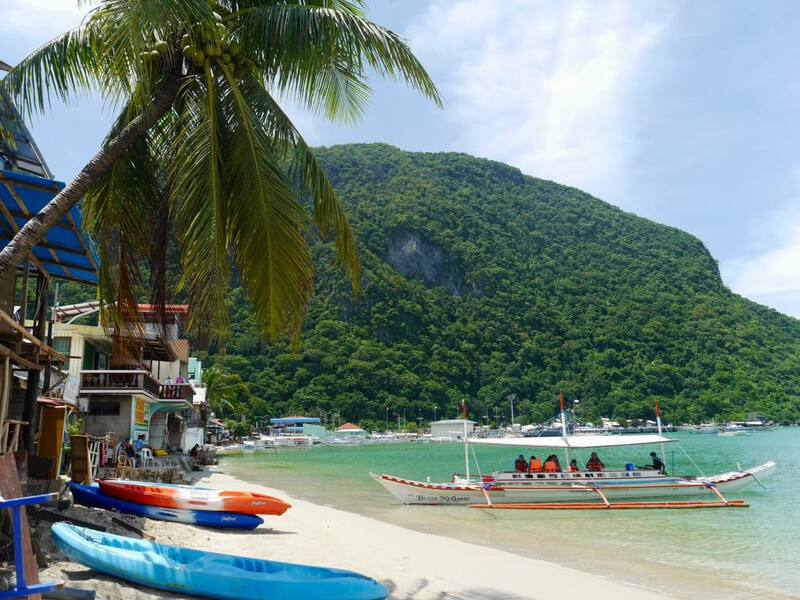 Don’t worry if you feel a little underwhelmed when arriving in El Nido town. With shabby buildings, narrow streets and smelly alleyways, El Nido town is nothing more than a logistical launch pad into the Bacuit Archipelago. It is here you’ll find those jaw-dropping Instagrammable scenes. When it comes to accommodation in El Nido, travellers naturally search for digs in El Nido town itself, but the surrounding villages can offer a much more relaxing stay. Corong Corong is a small roadside village that you pass through on the way to El Nido town, and offers budget and boutique accommodation at fair price. Travellers can take a tricycle from Corong Corong to El Nido Town, which costs 50 pesos and takes 10 minutes. 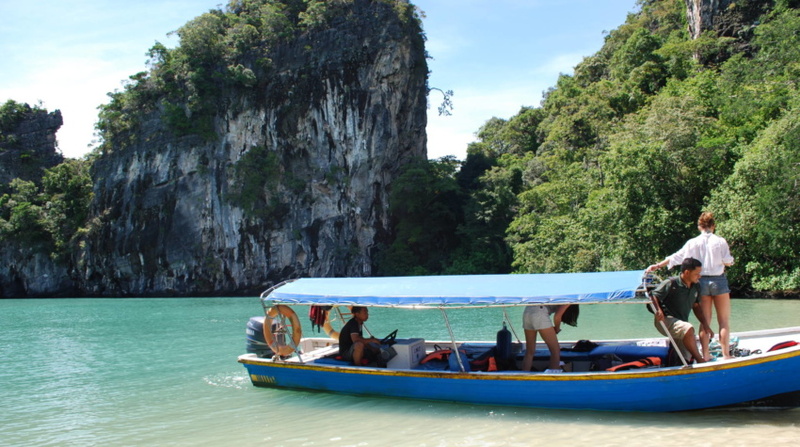 On arrival in El Nido Town you’ll see that all booking offices are selling the exact same boat trips, for the exact same prices (Tour A, B, C and D). It doesn’t matter where you book, but just make sure you book Tour C first, as this is the only one that gets cancelled due to weather conditions. Following that, Tour A is also a popular choice. If you’re planning to explore the beaches and bays of the Bacuit Archipelago, make sure you invest in some sea ‘booties’. These will protect your feet from sharp rocks, coral and pesky sea urchins (of which there are plenty). Either buy a pair in advance or hire them from your boat trip operator. The sun always sets to the left of El Nido Town, so you’ll have to go a little further afield to catch an iconic Filipino sunset. The best place to watch the sunset is on the far peninsular of Las Cabanas beach, next to Las Cabanas Beach Resort. Order yourself a banana daiquiri and soak up the magical scene. There is 1 ATM in the town which is often out of order, so it’s best to bring plenty of cash for your stay – just in case. Whilst most restaurants promote their Wi-Fi, the connectivity is incredibly slow and weak. This can be a blessing and a huge inconvenience at the same time. Being an island of incredible beauty, the environment is a hot topic in Palawan. You’ll find that many restaurants don’t offer straws and toilet paper is rationed. Power cuts are also a very frequent thing. What did you think of my tips for El Nido? Is there anything else you think I’ve missed out? If you found this post helpful or can add any further tips for travellers, please leave a comment in the box below. This post is brought to you in collaboration with Expedia.com. All views are my own. Ahhh such a beautiful place!! !